So I arrived in Atlanta last Wednesday. It’s been quite an adventure, and I’m telling my story at the Cheapoair blog. Not only do they offer cheap airfares, but they also have this nifty blog where people tell their travel stories. This post will be going live on Wednesday, September 29th. So check it out! When I arrived at my new home in the quaint little neighborhood of Little 5 Points, my roommates suggested we go to The Vortex (originally we planned to go to a Mexican restaurant, but for some reason it chose to be closed today). It’s known for its awesome variety of burgers and beers, but the best part is that no one under the age of 18 is allowed inside because of the smoking laws. My first thought was to get the bacon cheeseburger. It’s pretty standard, hard to mess up, and I wanted to see how it compared to a Bistro Burger. When I told one of my new roommates my decision, he called me out. He said it was a weak decision, and you don’t come to the Vortex for a bacon cheeseburger. He had a point. I was in a new city, and so I should try something new. I decided on the Ragin’ Cajun burger: pepperjack cheese with their Cajun sauce. The waiter asked if I wanted sweet potato tots. Sweet potato fries, but in tater tot form? Hell yes. The Cajun sauce added just enough bite that didn’t make me cry, but made my lips burn just slightly. And the pepperjack cheese was clutch. I had never had pepperjack cheese on a burger before, but I will definitely consider it in future endeavors. It added a well-rounded finish that I never thought I was missing. And the sweet potato tots were a-mazing. They were crispy and crunchy on the outside, but no matter how crispy or crunchy, the inside was moist and warm and delicious – kind of like what I imagine what chewing a cloud is like. And I washed it all down with a Sweetwater 420 extra pale ale, and it was divine. It was a pretty great introduction to a city I know nothing about. 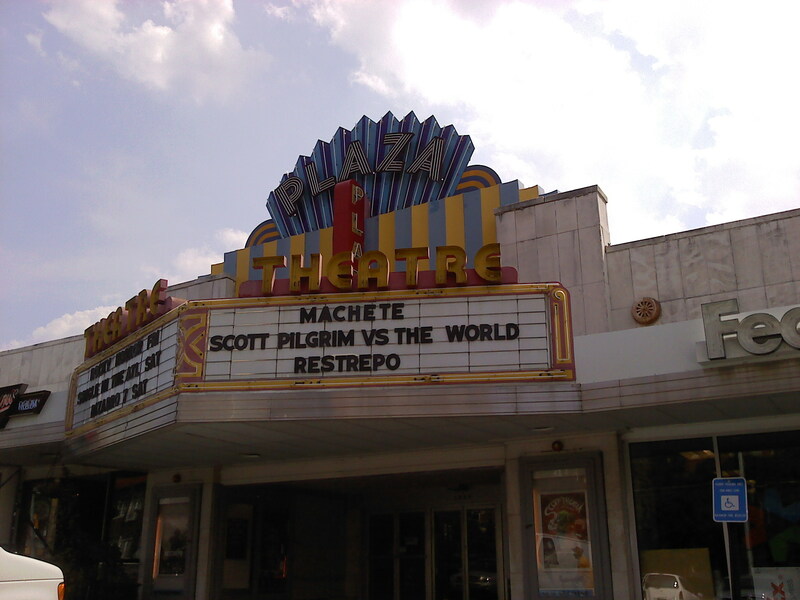 they're playing Machete AND Scott Pilgrim AND Restrepo. awesome. And I came to Atlanta at the right time – the coming weekend was the Atlanta Arts Festival in Piedmont Park. 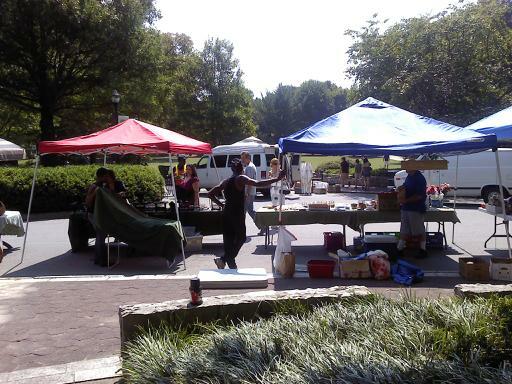 I went on Saturday to find the Piedmont Green Market at the entrance. A few vegetable stands, a yogurt stand, a juice stand, a meat stand, and a few others. I treated myself to a Mint Lemonade from Native Juie Bar and began my journey into the Arts Festival. I thought most of the artists would be from the Atlanta area, but they came from all over the country. I met Matt Janke, a glassblower from Atlanta; Ella Richards, a cut-out artist from Greenwich Village NYC; and David Korte, a photographer from Silver Springs, Maryland. piedmont park farmers market! very cool. As a photography major from NYC born and raised in California, I didn’t think Atlanta would have much to offer me, but clearly I have plenty to learn. Good post, informative and compelling!